All skiers know the importance of comfortable and warm feet. 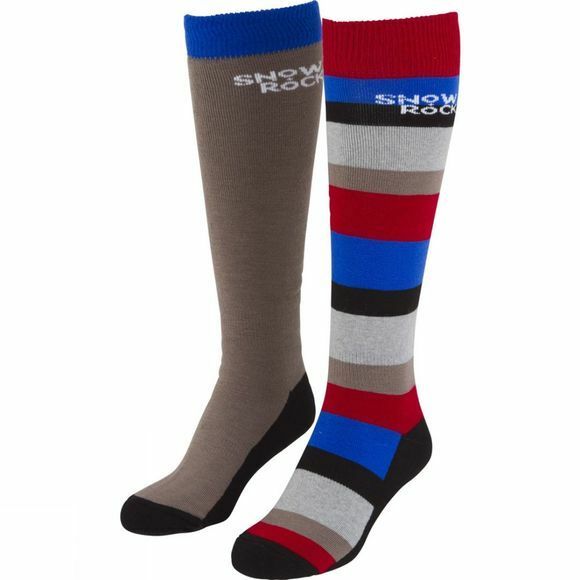 The Snow + Rock Comfort Ski Sock Twin Pack has great thermal and moisture wicking properties provided by strategically placed luxury new wool mixed with acrylic fibres. The addition of Lycra® Elastane to the sock helps maintain its shape, fit and durability. Designed by winter sport enthusiasts, this sock is suitable for all types of winter sports.